NIA CHARLESTOWN NEVIS (April 04, 2016) — The following is an address delivered by Hon. 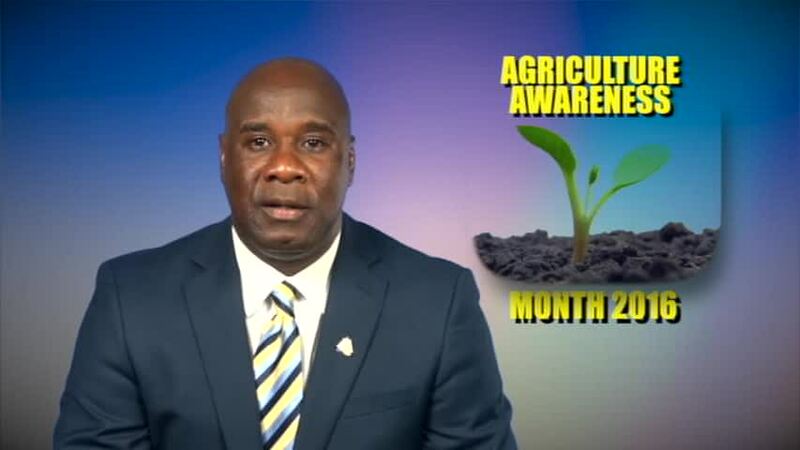 Alexis Jeffers Minister of Agriculture in the Nevis Island Administration (NIA), delivered on April 03, 2016, to launch Agriculture Awareness Month 2016. It is with great pleasure that I greet you, at this, the start of the fourth annual observance of Agriculture Awareness Month. This initiative commenced in 2013 and we have been extremely fortunate in hosting numerous successful activities during the past three observances. Agriculture Awareness month, seeks to bring added awareness to the importance of Agriculture to the development of the island of Nevis, as well as to place the spotlight on the industry, in terms of the significant strides that have been made over the past years. The month of activities also seeks to build morale within the Ministry and at the same time, strengthen the relationship among the Department of Agriculture and farmers as well as members of the general public. Agriculture Awareness Month, also provides an ideal opportunity for the Department of Agriculture to continue to showcase the numerous high quality local products that are available to consumers and for us to continue to place emphasis on the need to eat more of what we grow and grow more of what we eat. The observance of Agriculture Awareness Month, comes closely on the heels of the staging of the hugely successful 22nd Annual Agriculture Open Day, hosted during the period March 17-18th. The reviews from the Open Day, have been extremely encouraging and we are now seeking, through this month of activities, to build on that momentum and to further extend the opportunity for Nevisians and residents to appreciate the potential of this important sector. Agriculture Awareness Month will be celebrated under the theme “Adapting to Climate Change to Achieve Greater Food Security”, the theme used for the Agriculture Open Day this year. We are very cognizant of the numerous challenges facing the Agriculture Sector as a result of Climate Change but we also believe, that our farmers are resilient enough to assist in the continued push for food security. The activities for Agriculture Awareness Month are varied and have been organized with all of our stakeholders in mind. The month started with a Service of Thanksgiving at the Henry’s Memorial Wesleyan Holiness Church in Buck’s Hill on Sunday 1st May and continued with a Fishing Tournament and Family Fun Day at Indian Castle Beach, hosted by the Hanley’s Road Fisher Folks Association on Monday 2nd May. Other activities will include vegetable sales at the Charlestown Public Market on Friday 6th and 13th, during which you will be able to purchase our locally grown onions and peppers among others products. On Tuesday 10th May, we host an Open Day at the green houses at Prospect to target ministers of government, permanent secretaries, supermarket owners and members of the press along with other stake holders. On Wednesday 11th, we have a new initiative called Community Outreach Day, when staff from the various divisions within the Department will be involved in outreach activities. During the week of May 15th, there will be a two-day training programme in bread making with grated cassava and cassava flour, to be conducted by a specialist from the Food and Agriculture Organization (FAO). On Friday 20th, we have another new initiative when the New River Farmers group will be hosting an all-day activity including the sale of vegetables. The Ministry will launch the Farmer ID Card on Tuesday 24th May and on Friday 27th, we host one of our major activities which is a Pork Festival at the Charlestown Public Market. Activities will climax on Tuesday 31st May with an Open Day at Indian Castle, to promote forage bank development. I take this opportunity, to encourage all of us to support and share in the activities of Agriculture Awareness Month 2016. The activities have been tailored with everyone in mind and therefore, I crave the support of not only the farmers but the entire general public. Take advantage of whatever sales are organized and the chance to dialogue with Agriculture officials. Remember, the ultimate goal is to build the industry that will benefit all of us and therefore, your support is of paramount importance. I now take pleasure in declaring Agriculture Awareness Month 2016 officially open.